Alistair Darling outlined that the countrys economy has shrunk by around 6% over the course of the now over recession. The recession is over in terms of a predicted growth of 1-1.25% this year and 3-3.5% through next year. Borrowing will be on a sliding scale over the next 4 years in labours plan - £167bn this year, £163bn in 2011, £131bn 2012, £110bn 2013 and £74bn through 2014. This is a lower than forecast sum. This should go toward reducing the deficit from 11.8% of GDP at the moment to 5.2% in four years. Bank bonuses raised £2bn in 2009/10 - double what was forecast. A co-ordinated, worldwide effort to impose taxes on banks partaking in risky business models is required. Stamp duty free allowance for first time buyers to be doubled to £250,000 from midnight tonight. Offsetting the increase in free stamp duty will be a 5% stamp duty on properties worth more than £1m. IHT threshold frozen for the next four years. 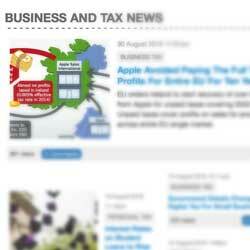 HMRC to get more powers with tax information agreements on Dominica, Grenada and Beliza. Business rates cut for one year from October - 345,000 business will benefit from this. No changes to be made to income tax, NI or VAT other than those already announced from the Pre-Budget Report. 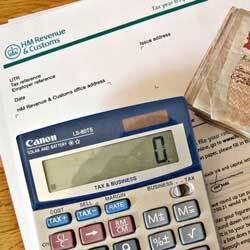 Our tax calculator is already updated - see the 2010/2011 Tax Calculator. Annual ISA limit to rise from £7,200 to £10,200 next month - limits will rise annually from now. Extension of tax credits for older workers - To make it easier for those over 60 to receive working tax credit, the Government will reduce the minimum hours they need to work to be eligible. No one under 24 will need to be unemployed for longer than six months before being offered work or training - this will last over the next two years. 15,000 civil servants relocated, including 1,000 Ministry of Justice posts moved out of London. Cider - duty increased by 10%. Beers, wines and spirits - duty increase by 2% above inflation. Tobacco - duty rises by 1% above inflation immediately, then 2% from 2010/2011. Stepped increase in fuel duty (instead of 3p increase in one hit) - it will rise by a penny in April, then by a further penny in October - remainder of increase (1p) in January 2011. RBS and Lloyds pushed to provide new business loans - £94bn will be released, hoping nearly half will get to SMEs. A new credit adjudicator will fast-track complaints from smaller firms who say they have been unfairly denied credit. Faster licensing process for new banks to boost competition. Goverment will try to send 15% more public contracts toward SMEs. Annual Investment Allowance doubled to £100,000. From October 2011? - the most expensive properties will be removed from housing benefit calculation in each area and added to anti-fraud measures this hopes to save £250m/year. More to be published on a further £11bn of new savings.